It doesn't matter how you get the shot if, it only matters if you drain it. That would likely be the response from the players and coaches on the Missouri State Bears men's basketball team if you were asked on how the team managed to come out victorious in their game against Illinois State on Sunday afternoon. Down two points with 7.8 seconds to play, Illinois State inbounded the ball looking to kill the clock without turning the ball over. 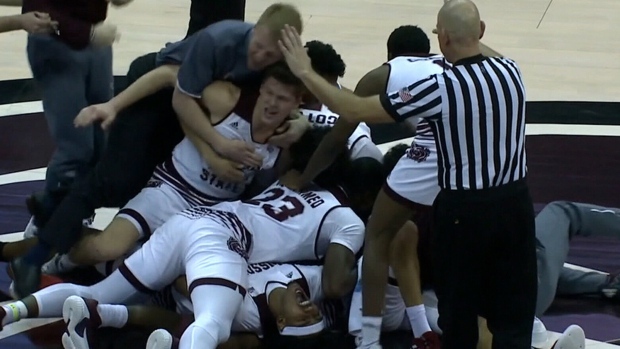 Missouri State's Keandre Cook managed to steal the pass off the inbound before a sequence of some of the sloppiest basketball you'll ever see occur in such a short span of time. Jarred Dixon somehow was able to come up with it where he then launched up a hope and a prayer from the other end of the floor. A 66-65 win never looked so pretty. A victory is a victory, folks.